A fool is probably the cutest-named dessert I’ve ever found. 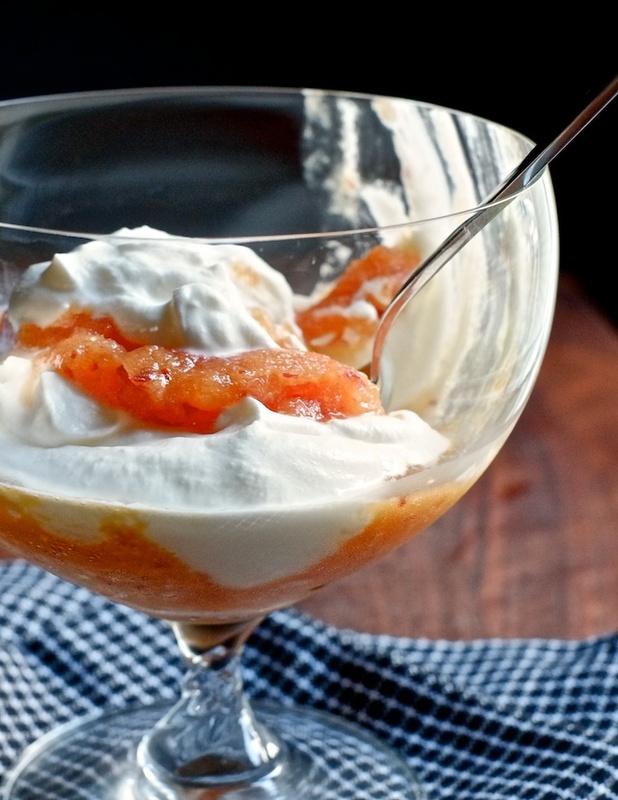 Traditionally, fools are made from stirring stewed fruit into whipped cream, making pretty, streaky ribbons of color in the cream. But with the abundance of perfect summer nectarines, I thought freezing just made more sense than stewing. 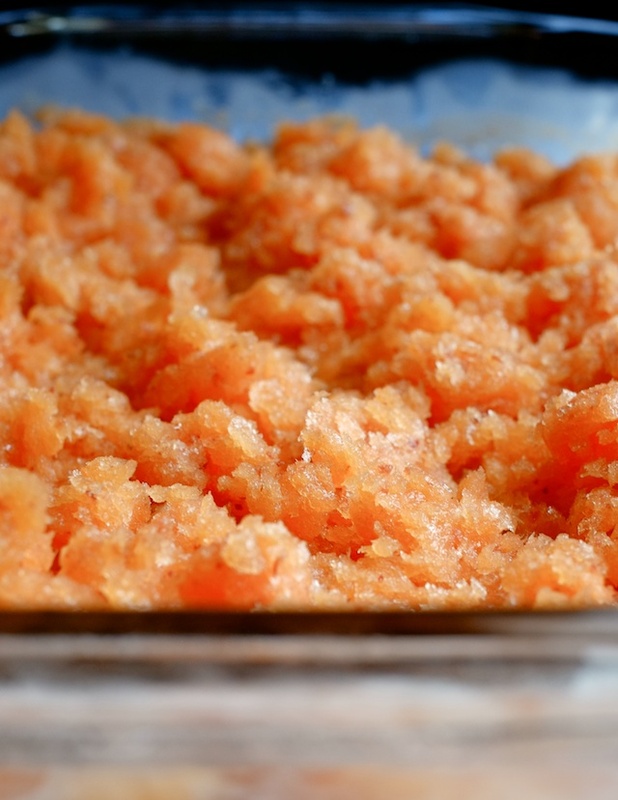 So instead of stewed fruit, we have a fresh nectarine granita. Granitas are really easy to make if you have a 9×13 pan and enough freezer space to store it for a few hours. You just make a thin fruit purée in a blender or food processor (thinner than your average smoothie), pour it into a wide, shallow pan, and stash it in the freezer for about two hours – checking on it every half hour or so to stir the frozen edges into the middle. When it’s done it turns into a craggy sort of slush. 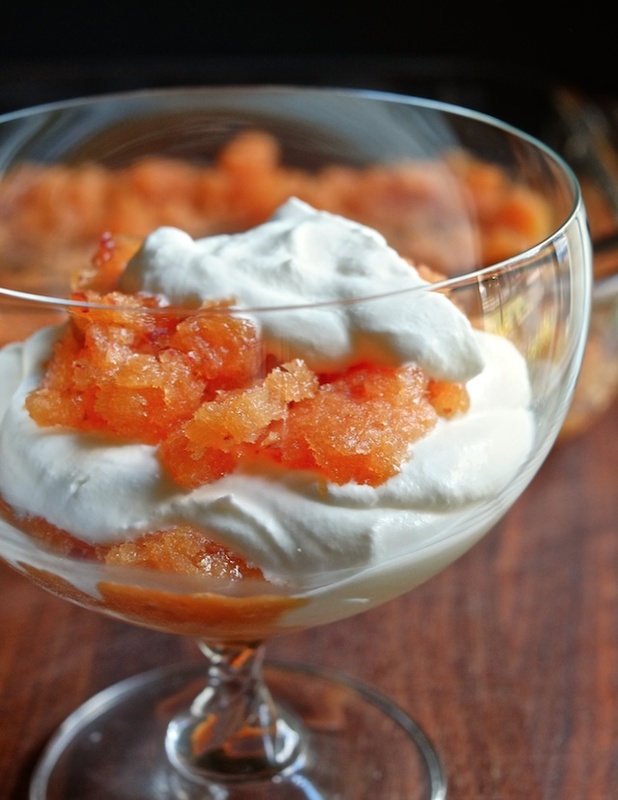 And you can always serve a granita topped with whipped cream, but because this is a fool, our ratios are more like one part whipped cream to one part granita. This is no time to be bashful or stingy with the whip, so make a foolish amount. 1. Heat orange juice in a small sauce pan until steaming, and add 1/4 cup sugar (the point is just to make sure the sugar dissolves well). You can use less sugar if your nectarines and orange juice are already very sweet, or more if they are tart. 3. Pour the nectarine and orange juice puree into a 9×13 or similarly shallow and wide pan, and store it in the freezer for about two hours. Set a timer for every half hour to check on it and stir the frozen edges into the middle of the pan. 4. 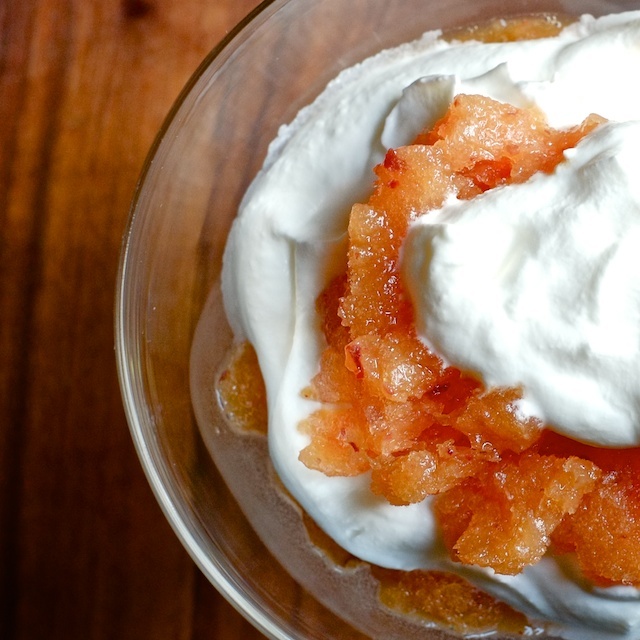 When the granita is flaky and thoroughly frozen, whip your cream with two tablespoons of sugar (or more if you want it to be sweeter). 5. 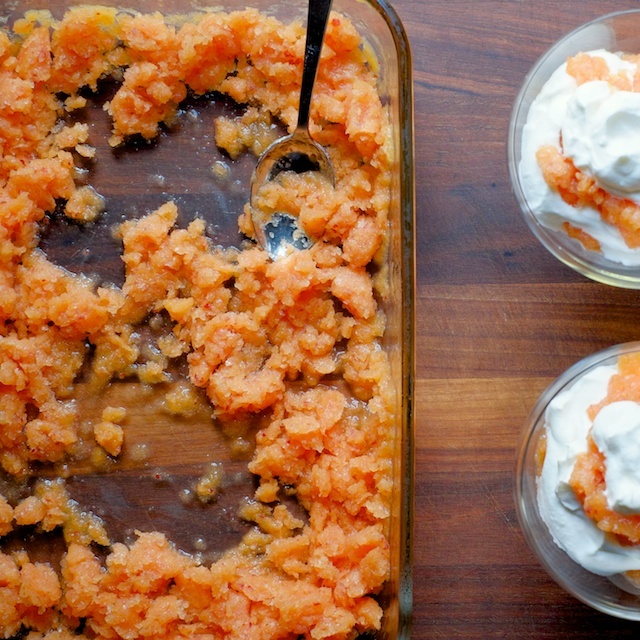 Layer granita in serving dishes with whipped cream and enjoy.